Do you feel like you are finding yourself in a very tough financial situation and are considering filing for bankruptcy? It is important to understand how such a life-changing decision could impact your life in the future. For help filing for bankruptcy and understanding the legal consequences, we recommend you consult with an Lansing bankruptcy attorney in your area. Below, you will find some of the major ways you can expect your life to change after bankruptcy. Your credit score is one of the main indicators to a creditor of whether or not they can count on you to repay your debts. A bankruptcy will not only significantly lower your credit score, but it will also make it extremely difficult to secure lines of credit. Your credit reports will show your bankruptcy for 7 years after the date you filed. Also, keep in mind that credit scores go into detail about which debts were part of your bankruptcy. 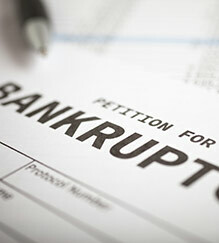 Bankruptcy is a sign that you were unable to keep up with your debts. As a result, creditors are more reluctant to give you any lines of credit after you file for bankruptcy. Not only will this impact being approved for credit cards, but you will also have to postpone applying for mortgages or auto loans. Most people who declare bankruptcy are only able to be approved for credit after one to three years have passed since the filing date. When creditors do offer loans to people who have gone through bankruptcies, the loans have significantly high interest rates and fees. People who have gone through bankruptcies usually report not being able to qualify for mortgages until five to seven years have passed since the filing date. While it is illegal to discriminate against a job seeker who has recently gone through bankruptcy, this doesn’t mean that it never happens. Your prospective employer is within their rights to check your credit history, especially if you are applying for a job that involves managing finances. However, a prospective employer will need your consent before checking your credit history. A knowledgeable bankruptcy attorney will be able to inform you of your rights and give you advice on employment. Did you know that 62% of bankruptcies are due to unpaid medical expenses? Of these people who filed for medical-related bankruptcy, 72% were covered by health insurance. Other reasons for bankruptcyinclude credit debt, job loss, or reduced income. It’s unfortunate that we live in a society that stigmatizes people going through hard times. It’s also not uncommon for people who go through bankruptcy to feel shame for what might have been a situation out of their control. 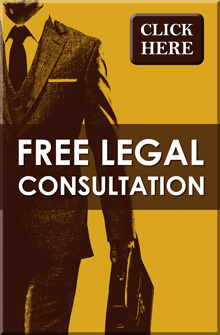 A reputable bankruptcy lawyer can help you plan out your next steps for a more secure financial future. If you are interested in talking with our experienced bankruptcy attorneys to provide legal representation, please contact our Lansing MI law firm at (517) 337-4600. At Foster & Harmon P.C., our Lansing MI bankruptcy attorney wants to make sure that you receive expert legal advice leading up to and following your bankruptcy.